The custom data could be an additional user input captured during user login or via some external web service call during custom authentication. 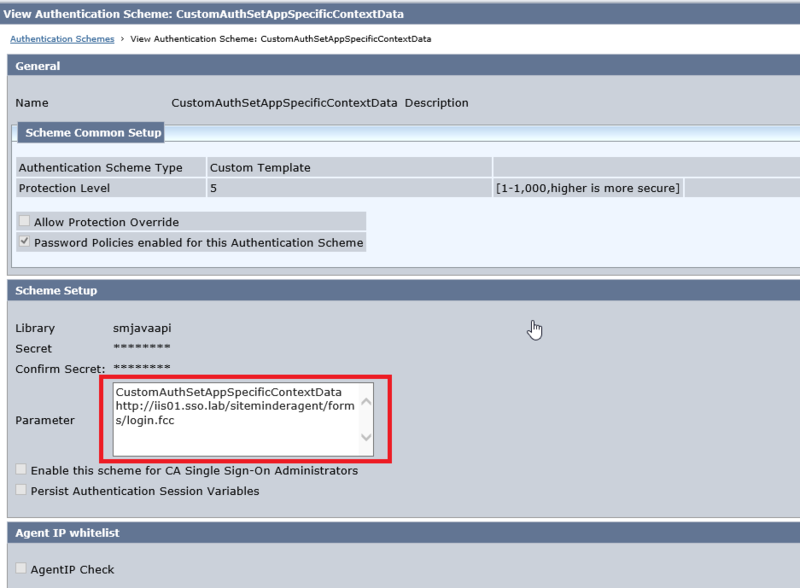 Data couldn’t be saved into a session store during the authentication process (say inside a custom authentication class ) because at this stage even if the Session ID is created for the user session an entry is not created in the session store. Otherwise a simplistic solution would have been to invoke com.netegrity.policyserver.smapi.SmSessionServer.setVariable() API from within the custom authentication class. Temporarily save the custom data into the AppSpecificContext element of the APIContext from the custom authentication scheme. Create an ActiveResponse to read the custom data from the AppSpecificContext. 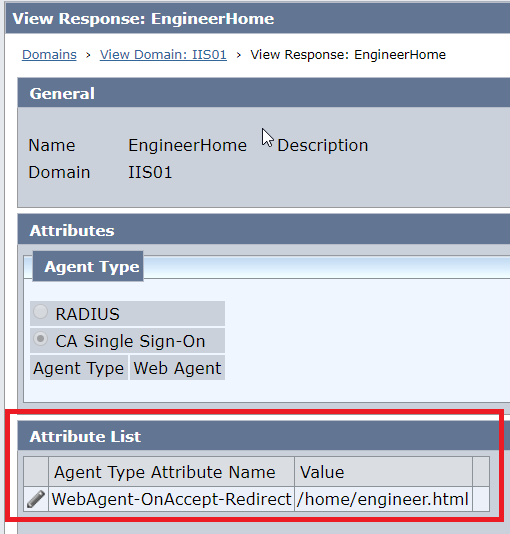 Create a Response attribute of type “WebAgent-OnAuthAccept-Session-Variable” and assign the value returned from an ActiveResponse above. 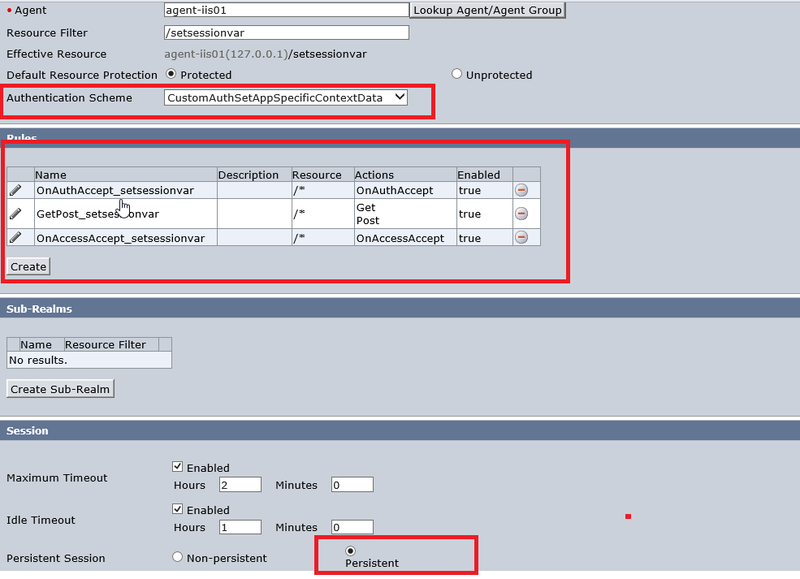 Create an OnAuthAccept rule and attach the Response attribute created above. 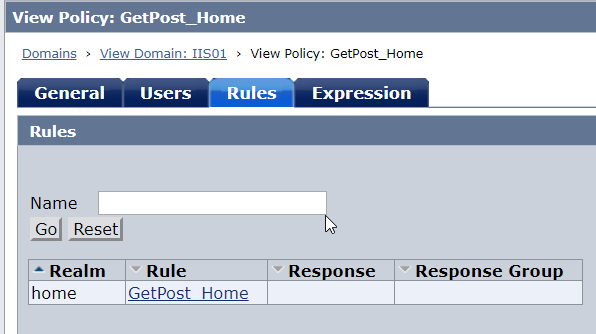 Create a Response to read the data from Session Store and attach it to OnAccessAccept rule to set it as HTTP header variable. Modify the attached custom authentication scheme class (CustomAuthSetAppSpecificContextData.java) as required to the save the desired custom data into the AppSpecificContext element as below. 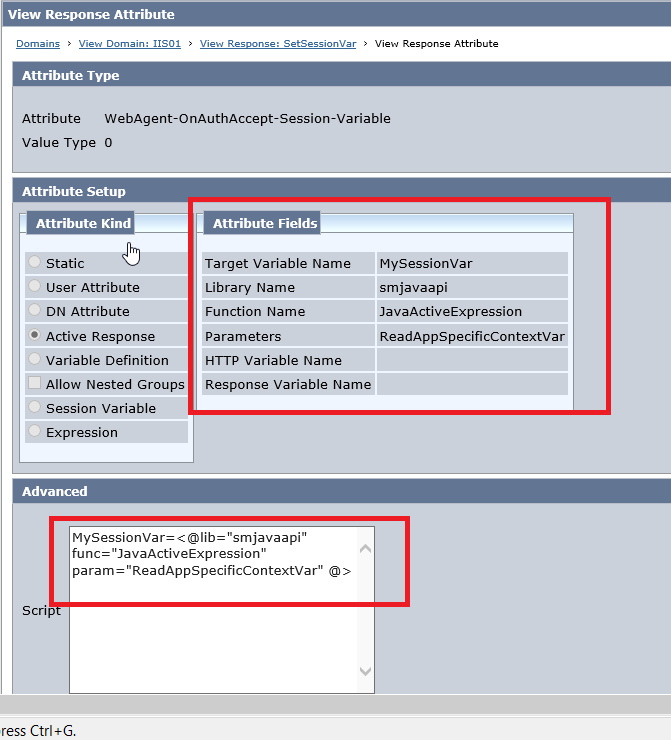 Create a Response attribute of type “WebAgent-OnAuthAccept-Session-Variable” and assign the value returned from an ActiveResponse as below. This will be triggered during OnAuthAccept event to set the custom data into the session store. 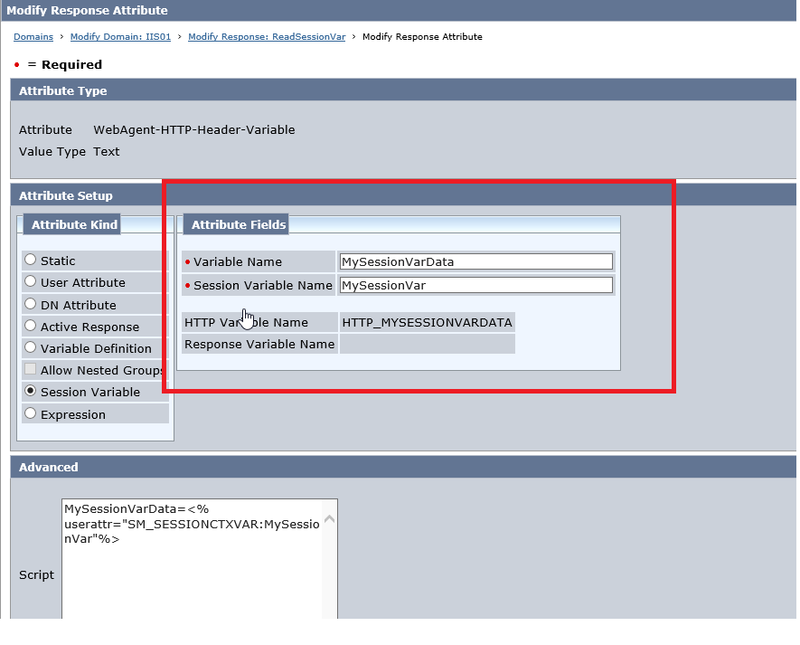 Create a Response attribute of type “WebAgent-HTTP-Header-Variable” and assign the value read from Session Store (set earlier) as below. This will be triggered during OnAcccess event. 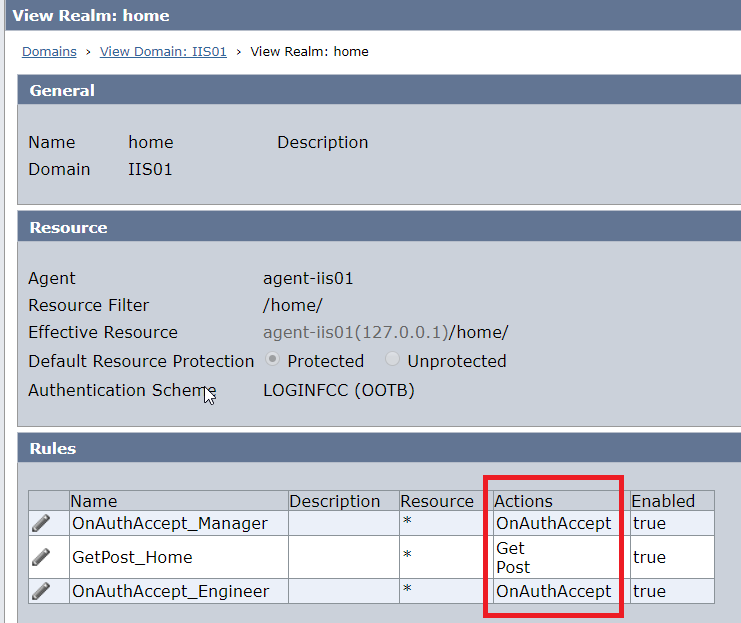 Link OnAuthAccept rule and the corresponding Response to create to set custom data in session store. Sample index.asp to print all HTTP headers. Create a Variable of type ResourceContext as below. This stores the last accessed resource URL. 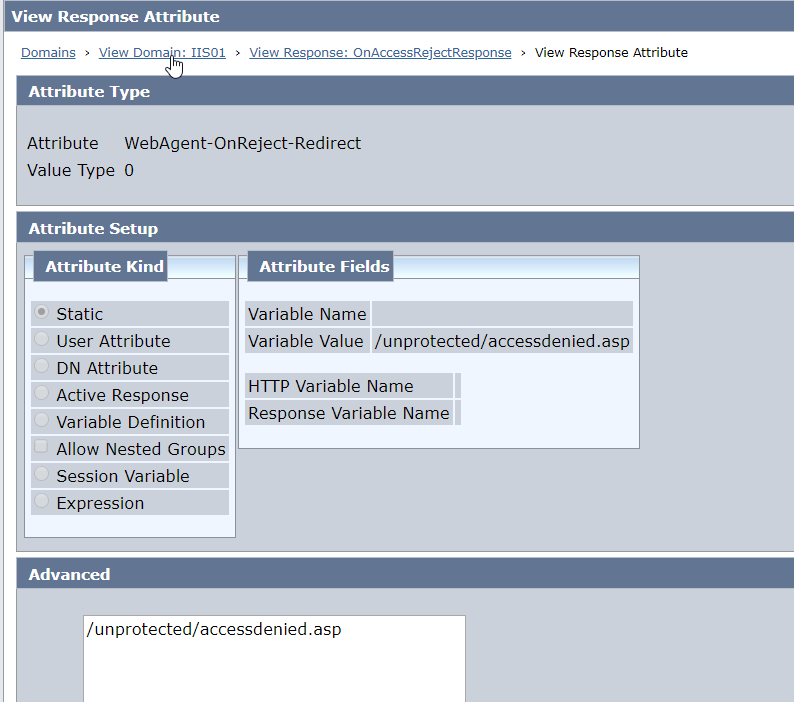 WebAgent-OnReject-Redirect = URL where you would like the user to be redirected after Authorization Reject. 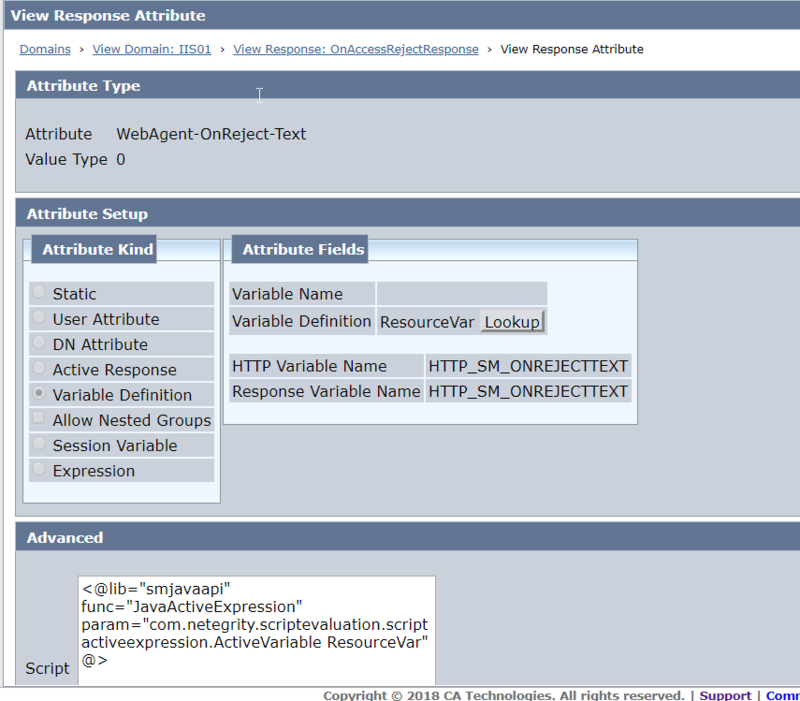 WebAgent-OnReject-Text = Configure this to read the value of the Variable created earlier. 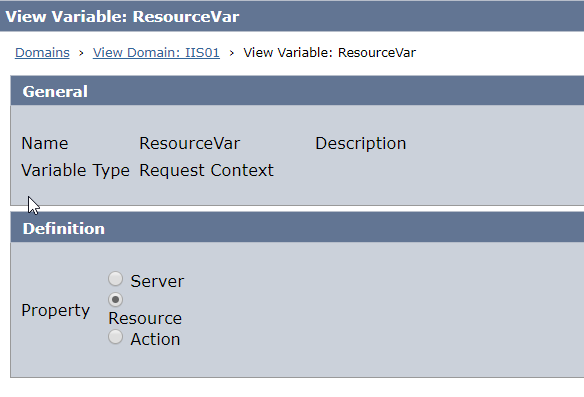 This will create a SMTEXTcookie response which will have the value of the Resource URL. 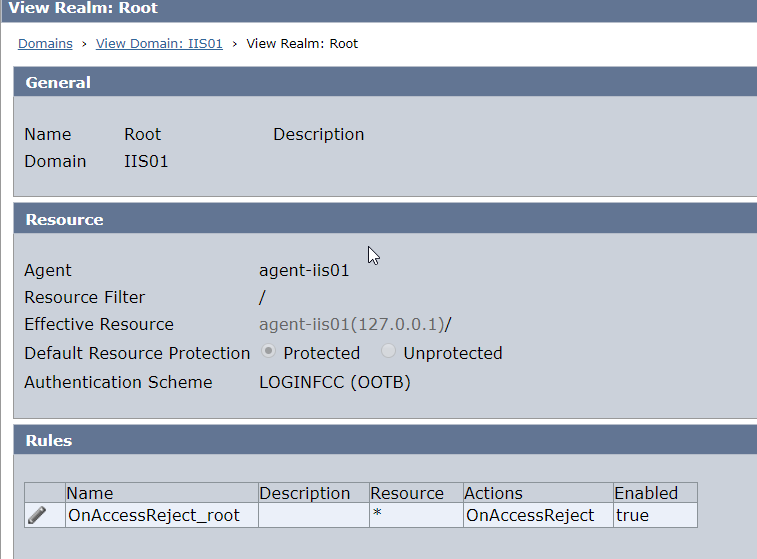 Create OnAccessReject rule for the root resource. 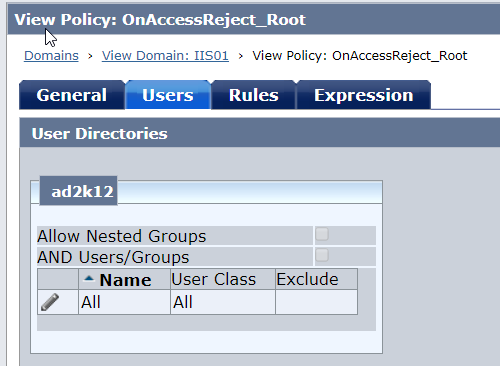 Associate the OnAccessReject rule with the Response created above. Access resource which the user is not authroized for. 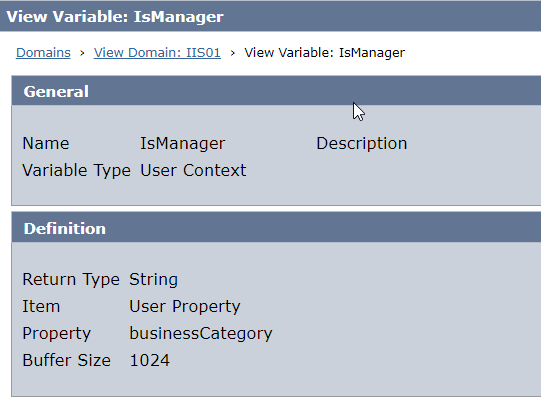 If the value of the userattribute “businessCategory” is YES, redirect the user to “/home/manager.html ” after authentication. If the value of the userattribute “buesinessCategory” is not YES, redirect the user to “/home/engineer.html” after authentication. 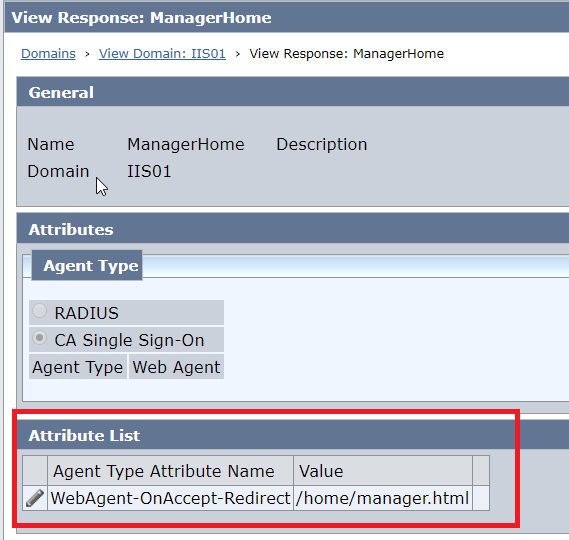 Create an OnAuthAccept_Manager Policy which compares the value of the variable “IsManager” to be “Yes” and then redirects to the ManagerHome Response. 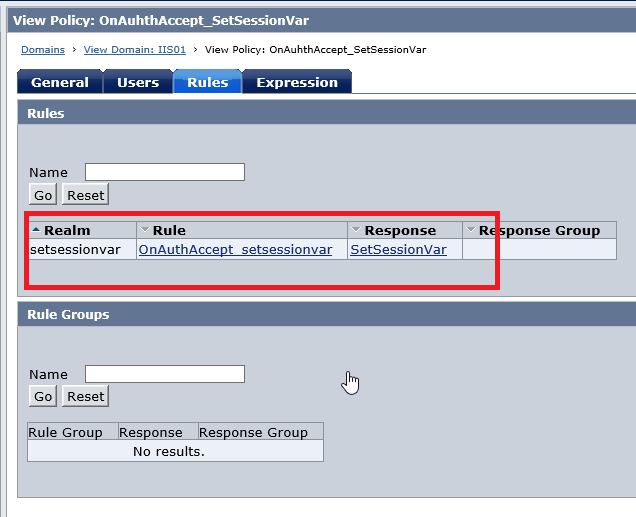 Create an OnAuthAccept_Engineer Policy which compares the value of the variable “IsManager” to be not equal to “Yes” and then redirects to the EngineerHome Response.